I made my first attempt at oatmeal chocolate chip cookies. I've never baked with oatmeal before, so I wasn't sure how it would go. They turned out a little lumpy, and they didn't look to inviting, but, boy were they good! yum! 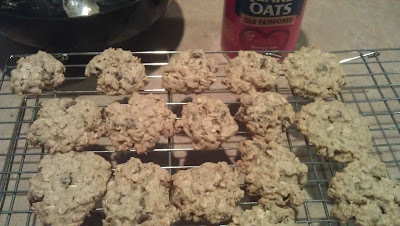 i love oatmeal cookies--they're supposed to be bumpy!